Noodler's Upper Ganges Blue is an eternal, bulletproof ink that has a shade that is blue-grey. It has been described as chalky or soft in some other ink reviews. There colour is quite unlike anything I have seen before. 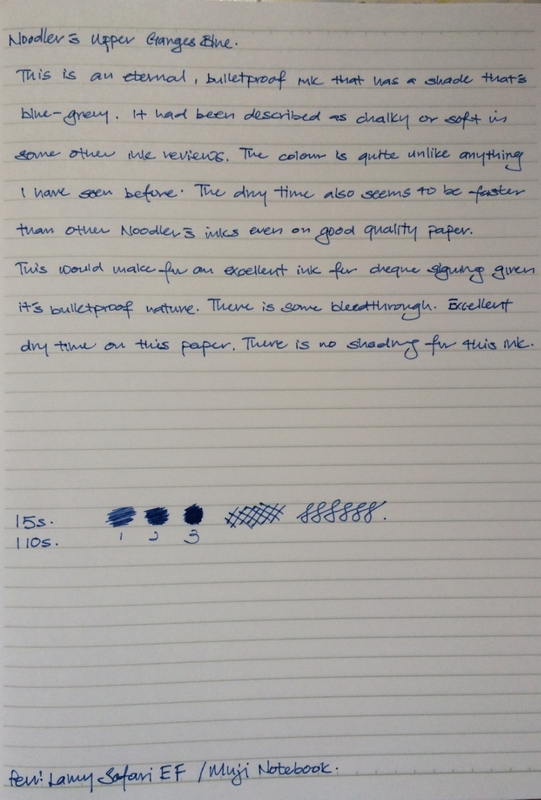 The dry time also seemed to be faster than other Noodler's inks even on good quality paper. This would make for an excellent ink for cheque signing given it's bulletproof nature. There is some bleedthrough and there is no shading for this ink.